Russia is land of wonders and beauty. Each of the city in Russia is like the gems hidden with mystery and it’s glory. In this post, we shall be uncovering different kinds of city mystery in Russia. Here are they top 5 lists of city travellers might want to put it on the check list. Moscow is the identity of Russia. One of the top cosmopolitan city in the world. It is the capital city of Russia and also the most populated city in Russia. A historic city with Kremlin as its core. Home to many dominating domes and endless inspiration to arts. In any occasions or dates, Moscow is filled with travelers and settlers from all parts of the world. They came to gaze upon its beauty and mystery. 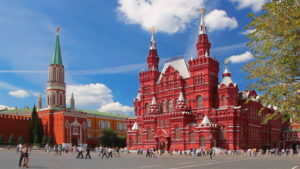 For more details regarding Moscow, please discover under this post where you might find it useful for your stay at Moscow: 5 Famous Place in Moscow, Where Are They in Russia? 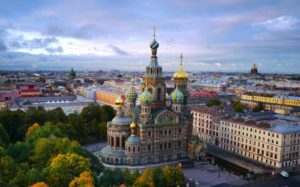 Second top city of Russia is none other than the St Petersburg. This place remains as the identity of being the cultural focus of Russia. This city is filled with theaters, art galleries and even exhibitions for art collectors trading. Following after St Petersburg is Novosibirsk. Third most populous city after Moscow and St Petersburg. Novosibirsk city located at most Southern Russia. This is a city near Siberia. Novosibirsk is also the main headquarters of transportation that connects many parts. Inclusive of Siberia, Central Asia with the European part of Russia. This city is the result of growth from Trans-Siberian Railway. 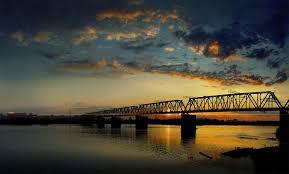 The Novosibirsk Rail Bridge is a true symbol of this city. Single-track railway was built on this bridge. It was situated in between the crossroads of Ob River towards the Trans-Siberian Railway. A beautiful city part of the Russian Federation is Kazan. Here is where the cultural strike come where the Tatar and Russian have both contributed to the city cultural heritage. You also can witness the cultural blend of both the Orthodox Church and the grand Muslim mosque are build side by side. This place also was named after “melting pot” by Tatarstan. Motive are to indicate blending culture of Tatar khans and Russian tsars. The Kazan Kremlin is one of the key tourist sites of this city. A fantastic with of the Kazan River can be viewed from the platform. Other attractions around Kremlin are the tower of Syuyumbik, Khazine Gallery, Blagoveshenskii Church. UNESCO World Heritage have stamped on Kremlin site since the year 2000. 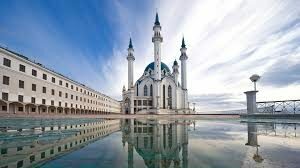 The city of Kazan also offers other various events that you can do during your holiday here. You can start from ballet festival, international opera or even music festivals. The most important national holiday of the year is Sabantuy, which celebrated in month of June. Yekaterinburg recognised as the fourth-largest city situated in Russia. 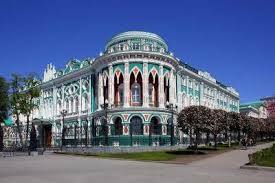 The the real capital of the Urals are Yekaterinburg in Russia. Robust looking architectural monuments are the city most proud tourist sites. However, some of them didn’t survive the Soviet ages. The most preserved are the city are King’s Bridge, Maximilianovskaya church, Alexander Nevsky Cathedral. There are also other popular places such as Novo-Tikhvinskaya Monastery, Zheleznov’s Manor, Sevastianov’s House, Rastorguev – Kharitonov’s Manor. Yekaterinburg use to be a mining capital for the Russian Empire and was a very good connection city between Europe and Asia. This place is still recognized as one of the most important economic generators of Russia till today.